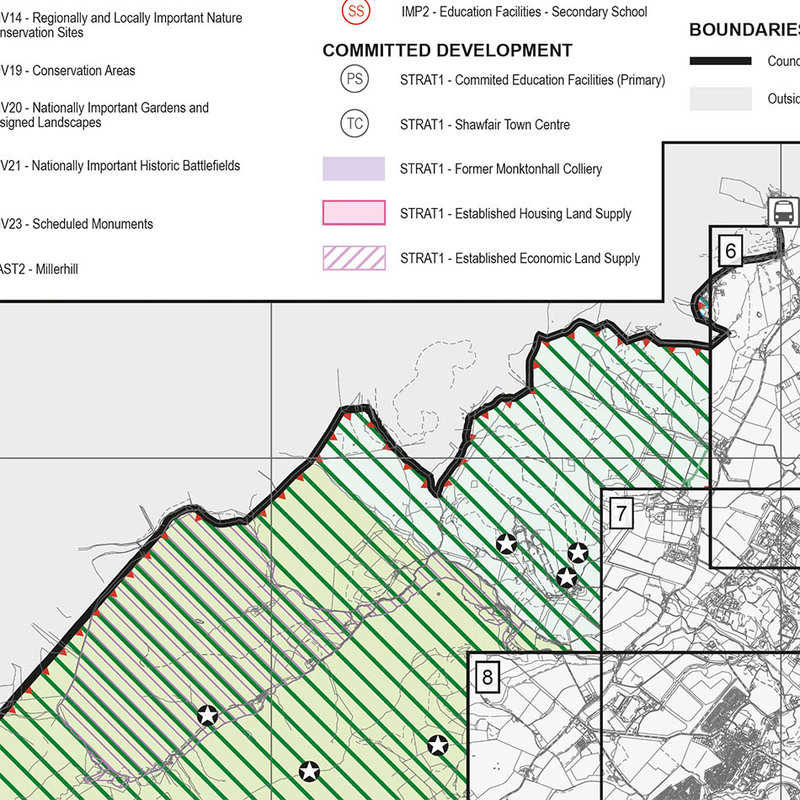 Proposals Maps for the Midlothian Local Development Plan (LDP). 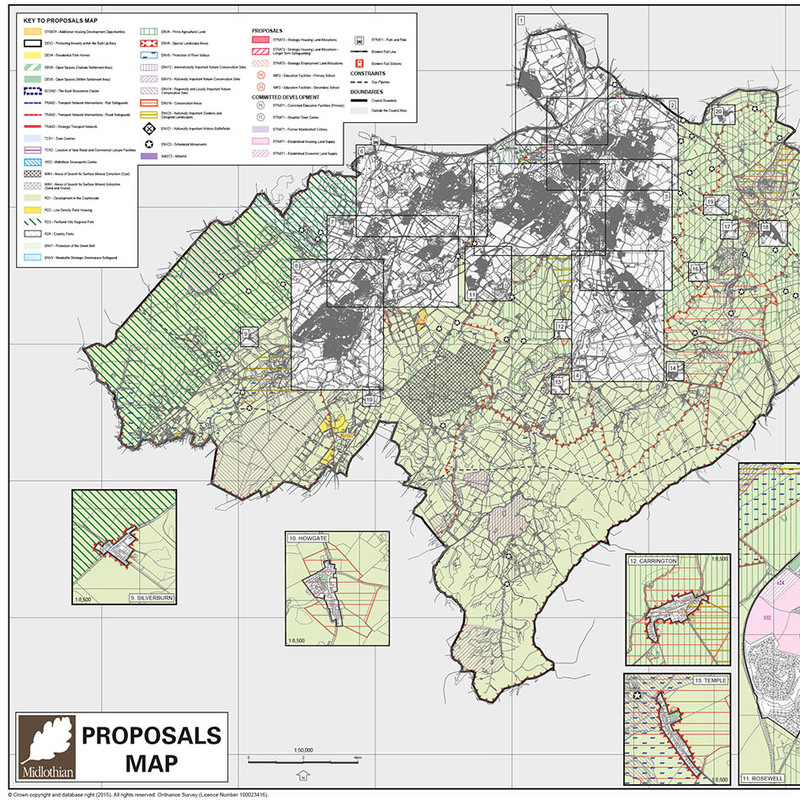 Cartographic production of a series of 4 colour printed maps at A1 and A2 paper size. 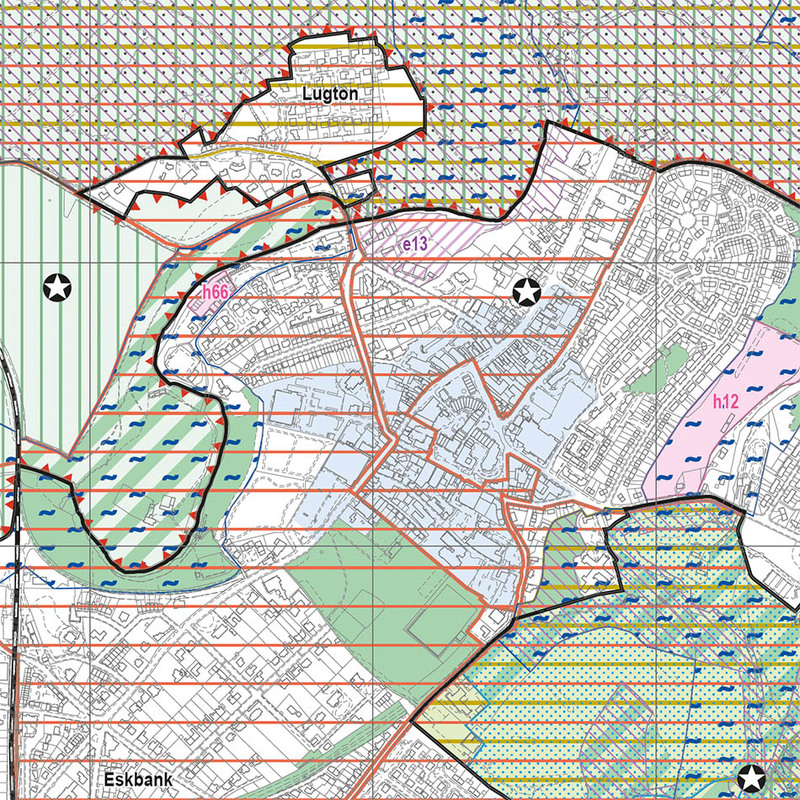 A fully interactive web-based Policies map linked to the Midlothian Local Plan (2008) using our planvu solution. Linked to the Development Plan Consultation portal using Objective consultation software.